Today, December 21, is not only the shortest day of the year — Winter Solstice — but also Crossword Puzzle Day. 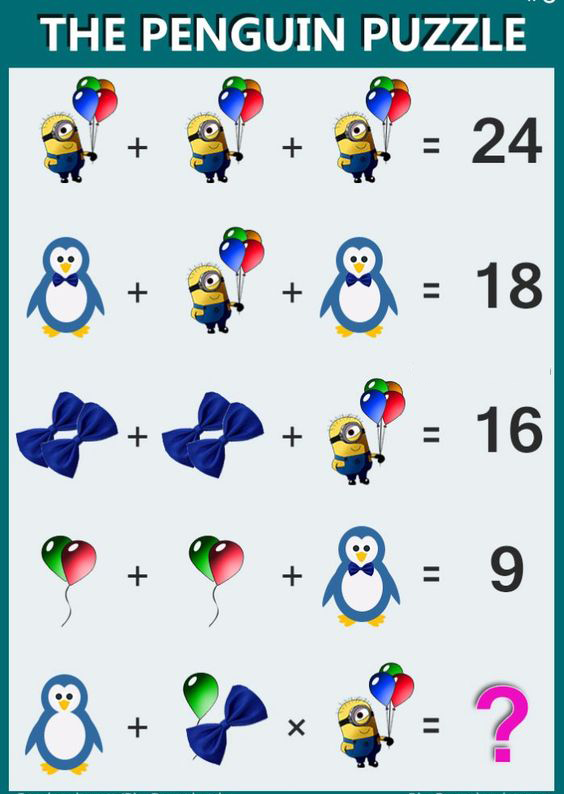 As a twist I have a cross-math puzzle consisting of numbers, penguins, balloons, bows and minions. Here is a hint about the first line: One minion with 4 balloons is 8. That is one minion counts for 4 while each balloon counts for 1. This entry was posted in Funny tutoring posts, Seasonal Events and tagged math puzzle, winter solstice.